Patrick Neale is an attorney who practices law in the areas of business, entrepreneur, contractor, construction, land use and zoning, real estate, foreclosure prevention and defense, bankruptcy, drone law and governmental and administrative law. His firm emphasizes a holistic approach to the solution of clients’ problems so that more than just legal options can be considered. 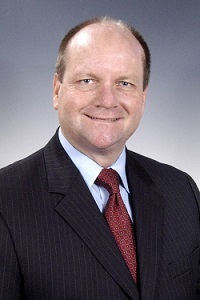 He represented the Collier County Contractors’ Licensing Board for over fifteen years and has appeared before the Legislature, Governor and Cabinet, the Collier County Commission, City of Marco Island Council, state and federal courts and various governmental boards and agencies on behalf of clients. Patrick is the president and owner of Lucera, Inc., a distribution, marketing and consulting firm. Lucera was founded in 1987 and focuses on the plastics, chemical and specialty petroleum products markets. Lucera provides consulting services in international marketing, technology transfer, plant design, organization and training for companies. He was also managing partner of KC America, LLC, an international plastics distribution company. During the period he was operating these companies, he traveled to Russia over forty times and China over fifteen times. He is still doing business with both countries. A proud Hurricane, Patrick is a graduate of the University of Miami with a BS in Chemistry and a graduate of the University Of Miami School Of Law. He moved to Collier County in 1987 from the Philadelphia area. A native Miamian, he had lived from 1978 until 1987 in the New York metropolitan area, Philadelphia area and Houston, Texas while employed in a variety of senior management positions in the specialty petroleum and related businesses. He and his wife live in Naples.